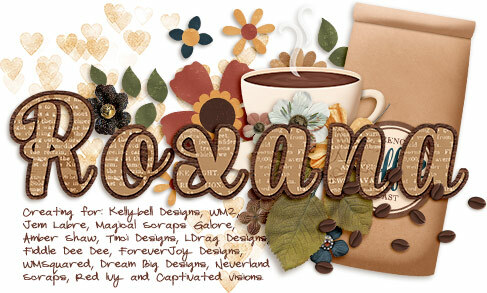 Thank you Roxana for the information on the font, I really liked the way it looked for journaling. I am off to look for it before going to work! Glad it worked! I am just plain crazy, that is why! Thank you for participating in my test. Tomorrow I will be distributing it to the rest of the girls. Going to bed now. Bye! Hi Roxana, I a minute I will send you the PP#75 thru Box Net. let me know if you get it ok? Thank you for your comments Roxana! I get my Commics papers from the Traditional scrapbooking and i scan them. I am trying to put a freebie with them (make few papers, few flairs, etc (I have tons of ideas but do not know HOW to do it) I am definetly going into the Comics branch for scrapbooking, I am just trying to figure out. Yikes! 3,000 photos! You sound like me.... lol... I can take a 1,000 when we just do down for the day. I figure that gives me lots to chose from and surely a few will be good. I look forward to seeing your LO's. I am sure they will be amazing. Glad your home safe & sound and had a terrific trip. I have a degree in Civil Engineer, but dedicated the last 15 years to my family. Thanks for being so helpful to others Roxana!